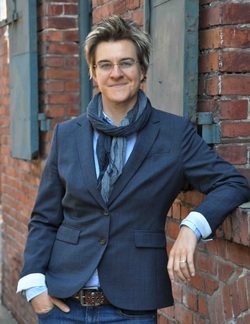 Erica Chenoweth is Associate Professor at the Josef Korbel School of International Studies at the University of Denver and an Associate Senior Researcher at the Peace Research Institute of Oslo (PRIO). Previously she taught at Wesleyan University and held fellowships at Harvard University’s Kennedy School of Government, Stanford University, UC-Berkeley, and the University of Maryland. Chenoweth is an internationally-recognized authority on terrorism, nonviolent resistance, and counterterrorism. Her three books include Why Democracy Encourages Terrorism; Why Civil Resistance Works: The Strategic Logic of Nonviolent Conflict; and Rethinking Violence: States and Non-State Actors in Conflict. The author of dozens of scholarly and popular articles, she was named one of Foreign Policy’s Top 100 Global Thinkers for 2013, co-hosts the award-winning blog Political Violence @ a Glance, hosts a blog called Rational Insurgent, and is an occasional blogger at The Monkey Cage. Tweeting @EricaChenoweth. Christian Davenport is a Professor of Political Science as well as a Faculty Associate at the Center for Political Studies t the University of Michigan and Global Fellow at the Peace Research Institute of Oslo (PRIO). Primary research interests include political conflict (e.g., human rights violations, genocide/politicide, torture, political surveillance, civil war and social movements), measurement, racism and popular culture. Christian is the author of five books; three solo-authored: How Social Movements Die: Repression and Demobilization of the Republic of New Africa (Forthcoming, Cambridge University Press), Media Bias, Perspective and State Repression: The Black Panther Party (2010, Cambridge University Press) – winner of Best Book in Racial Politics and Social Movements by the American Political Science Association, and State Repression and the Promise of Democratic Peace (2007, Cambridge University Press); and, two edited: Repression and Mobilization with Carol Mueller and Hank Johnston (University of Minnesota Press. 2004), and Paths to State Repression: Human Rights Violations and Contentious Politics (Rowman & Littlefield, 2000). Concurrent research projects are underway on contention in the United States, Rwanda, Northern Ireland, India and Mexico. For more information, go to the webpage here. He blogs on his site (the Analog, the Antiblog) as well as at Political Violence at a Glance. Tweeting at @engagedscholar.